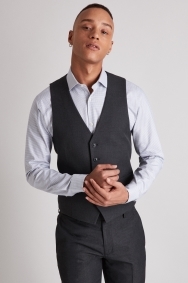 Cut in a sharp skinny fit, this charcoal waistcoat sits close to your body to define your shape and give you an on-trend outline. The item was place for an order and everything was done but I was never update and after a month I came to the store where they did not know where my item was not they could trace it. What a shame after buying this item I have to chase around to get it!!!! Purchased the waist coat to match the suit very helpful assistant. Much worth cash paid. High quality. When the waistcoat finally arrived it was nice. 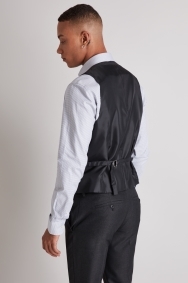 I was skeptical of needing a waistcoat but the fit of this one is perfect and I’m glad I tried it on. Great price and looks of a good quality. Slightly bigger than when first tried on, but suitable casual colour and tightens up well. A great suit for my wedding. Good cut, colour, material, feels a lot more expensive than it is! Great fit for my son he loves it. Makes the suit look even better. The Skinny Fit came up nearly 2 sizes too small.